Cashback gets Confirmed with in 2-7 Days. GoPaisa Cashback is not applicable on Gift Card Purchases and Donations. How to Book Tickets in BookMyShow? Bookmyshow is one platform that comes to our convenience when we run out of time. Be it booking tickets for a movie or a theatre act, or any upcoming event, Bookmyshow gives us easy access to tickets. This is India’s most famous ticket booking portal. With quick ticket booking process and superb deals on tickets, Bookmyshow is second to no other like the website. 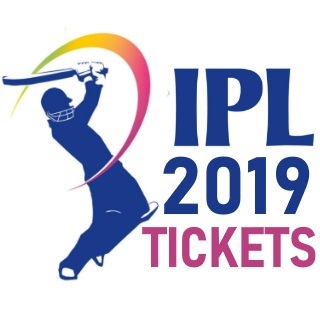 It is the official ticketing partner for major IPL T20 teams along with Formula 1. Tickets from most awaited matches and movies can be easily availed via Bookmyshow. This fabulous website is functional in India, Bangladesh, UAE, and Indonesia. Pre - Book Total Dhamaal Movie tickets online on Bookmyshow and pay via amazon pay to avail Rs 20 cashback upto Rs 100. Online Total Dhamaal Movie tickets booking is more profitable and easy then buying movie ticket offers, As online you can avail many offers on your movie ticket booking and hence save a good amount on booking of atleast 2 movie tickets. Avail Totat Dhamaal BMS offer today to watch this comedy movie on first day first show on big screens. Gully Boy is performing fantabulous on big screens and has already crosses Rs 100 crore mark. Why are you still waiting to book tickets of this amazing movie when bookmyshow is offering cashback upto Rs 125 on gully boy movie tickets. Book now and avail Gully Boy Movie BMS Offer by paying via amazon pay. Offer is valid till 24th february 2019. Hurry Up! and Don't miss the chance to watch Gully Boy on big screens. ICICI has made watching movies better with its fabulous offers. With Citi Bank Credit Card, you can avail buy 1 ticket and get an offer on any day of the week. A maximum of 2 free tickets can be redeemed on Citi Bank Diamond Credit Card, ICICI Rubyx Credit Card ICICI Sapphiro Credit Card, ICICI Bank Coral Credit Cards, ICICI Bank Carbon, and ICICI Bank Signature Credit Card. The free ticket price cannot exceed Rs.400 per ticket for ICICI Bank Carbon, ICICI Bank Sapphiro Credit Cards, ICICI Bank Signature Credit Card and Jet Airways ICICI Bank Sapphiro Credit Cards. For ICICI Bank Rubyx Credit Cards, ICICI Bank Coral Credit Cards, Jet Airways ICICI Bank Rubyx Credit Cards and Jet Airways ICICI Bank Coral Credit Cards, the value of free tickets is not supposed to exceed Rs.250. When you pay at Bookmyshow via ICICI Pocket, you get a discount of Rs.100. To avail the offer visit Bookmyshow app. Select your ticket and proceed to the payment section. Check the Avail offers and discount section and click on ‘credit/debit card/net banking’. Click on 'Select Offers' and choose ‘Pockets Weekend Delights Offer' from the Offer drop-down list. You will be asked to enter your Pockets Wallet number. Thereafter, click on ‘Credit Card’ in the Payment Options box and enter the required details like regular card payment. This offer is valid for weekends only and can be used once by each customer. The minimum value of the order needs to be at least Rs.300. When you are a Citi Bank Platinum Credit Card holder, buying movie tickets at discounted price becomes a habit. With the Citi Bank Platinum Credit Card, you get Rs.100 off on your movie tickets. You need to book at least two tickets to book to avail this offer. Go to the BookMyShow app or website and select your tickets in a regular way. Click on Avail Offers and click on the tab – Credit/ Debit/ Net Banking. Click on Select Offer and choose 'Citibank Platinum Debit Card' from the offers drop-down list. You then are entitled to get ?100 off to on your movie ticket. Owning an SBI credit card has made movie watching at theatres even better. With its fabulous offers, you get discount and cashback on your ticket booking. When you have an SBI Platinum Credit Card you get a flat Rs.75 off on your ticket. Other SBI credit card owners get Rs.50 off on their ticket booking. Along with this, you can even get reward points when you make your payment at Bookmyshow via SimplyCLICK SBI card. For every Rs.100 spent from your SimplyCLICK SBI Credit Card, you get 10 Reward Points. Avail Buy 1 Get 1 offer at Bookmyshow when you have an RBL credit cards. You can avail the offers when you have RBL Bank Platinum Maxima, RBL Bank Titanium Delight, RBL Bank MoneyTap, RBL Bank Icon, RBL Bank Hypercity +, RBL Bank Crossword Black or RBL Bank Hypercity Rewards Credit Cards. While the owners of RBL Bank Titanium, MoneyTap and Hypercity Rewards Credit Card cardholders can book tickets throughout the week but only for shows on Wednesday, those who have RBL Bank Platinum Maxima, Icon, Hypercity + and Crossword Black Credit card cardholders can avail the offer throughout the week. An RBL credit card holder gets 2 free movie tickets per month. Along with this, they get 4 free movie tickets as a welcome gift. Every Bookmyshow transaction with RBL Bank Fun+ Credit Card gets you 10% off. Bookmyshow has an app of its own that is compatible with all Android, Windows, Blackberry and iOS phones. 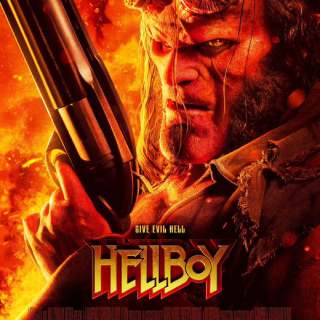 The app users have easy access to a synopsis page where one could watch sound bites, trailers, and get a number of information about the movies. App users can avail exclusive Bookmyshow discount coupons on their transactions and save a little. Any movie, be it Bollywood or Hollywood, or a movie in a regional language, Bookmyshow has all of them listed on their website. 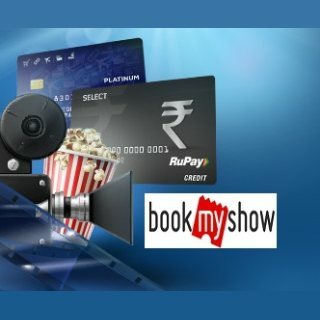 Making booking tickets convenient, Bookmyshow offers trustworthy secured payment gateways that make sure that nothing goes wrong with our transaction. Bookmyshow is a relief from the long queues and tiring efforts of getting the tickets for your favorite and most awaited shows. 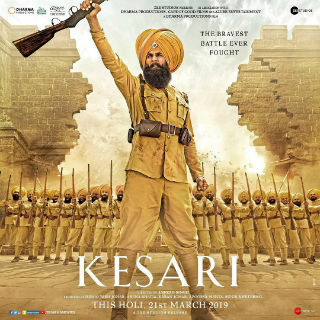 At book my show you can book your movie tickets in advance and enjoy the first-day first show of the most awaited movies. All these things together do not put an end the awesomeness of Bookmyshow. This super amazing page has a blog of its own that keeps you updated with the news on most-waiting movies, annual celebrations, film industry events, film-festivals, occasions, to film awards and much more. 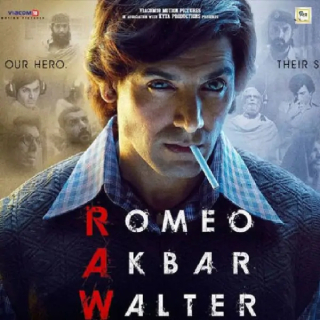 Bookmyshow offers upto 50% off on movies ticket. you can get maximum discount of Rs 100. If you want to avail this offer then you need to buy minimum 2 tickets. Booking movie tickets do not require you to stand in long queues and planning to get the tickets months ago. With the Bookmyshow app, one can book movie tickets at the desired theatre without stepping out of their homes. Bookmyshow is a ticket booking app that keeps you updated about the latest event and activities that are to take place in your city and allows you to buy tickets for them online. Be it the latest movie or a play, with Bookmyshow you not just get to select the theatre, but also your seat. Click on the seats that you prefer and pay for the tickets online. Along with these, you can also pre-order snacks and beverages with your movie ticket. While booking your movie tickets via Bookmyshow, you get to select coupons for famous food joints for free. So, your day’s activity is sorted with Bookmyshow. Watch a great movie at the nearest theatre followed by lunch at the restaurant at a discounted rate. So many good things with just one app: Bookmyshow. With the Bookmyshow app, you can book tickets at PVR cinemas, DT Cinemas, INOX, Cinepolis and other multiplexes. Use the Bookmyshow coupon and you can avail some huge discount on your movie tickets. Along with booking tickets for movies and plays, Bookmyshow also offers you to book tickets for other events like sports, film and music festivals, gigs and more. With Bookmyshow you can participate in heritage walks, fairs, adventure activities and more. Use the Bookmyshow coupon code and get discount on booking tickets for these events. Bookmyshow can also be accessed through web and is available on both mobile phones and desktops. You can download the app at Play store. The app is compatible with both Android and iOS phones. So, keep booking tickets and keep yourself entertained with Bookmyshow. Well, now that we know that there is no other way better than Bookmyshow to get the tickets to all the entertainment events, let us find out ways to get the best Bookmyshow deals. Though there are a number of ways to get Bookmyshow coupons, GoPaisa remains the best. GoPaisa is an e-cashback site that offers the users assured cashback and discount coupons. Here is the process of availing the best Bookmyshow promo code on GoPaisa. Log in to GoPaisa and search for Bookmyshow. Here you will find a number of Bookmyshow deals. So click on the deal that lures you the most. Now you can continue booking your tickets in the regular way.